MBARARA – Residents of Mbarara and Kiruhura districts are set to benefit from a shs14 billion ($4 million) rural electrification project. The project that will cover a distance of 125 kilometres will cover Kagongi and Rwebishuri in Mbarara and Kashongi –Kaswa in Kiruhura district. During the handover of the project to the contractor, Mega Technical Services on Friday, Mr Tom Muhumuza, the senior project engineer from the Rural Electrification Agency (REA), said this project is funded by World Bank to improve the livelihood of these communities. He said the project is expected to last 15 months and will see many homes, including social service delivery points like health centres, schools, churches get connected to power. “This is part of government programme on universal power coverage; we are optimistic that after its completion in the next 15 months, there will be great transformation of livelihoods in these areas, electricity is a prime mover of development,” said Mr Muhumuza. 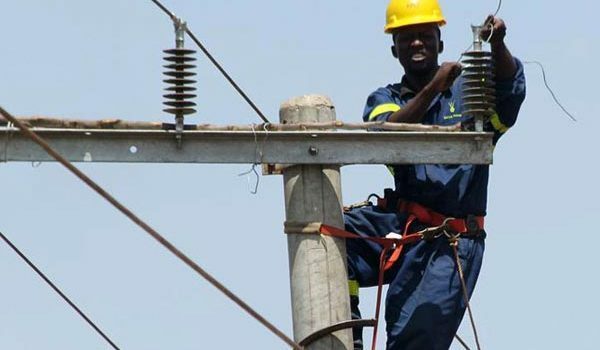 Mbarara District chairperson Rtd Capt John Bosco Bamuturaki cautioned those involved in electricity distribution to avoid being selective that otherwise, they might get challenges from locals, especially destroying their infrastructure. “We have heard challenges of bypassing homes and public facilities to target individuals for power supply. This does not augur well with the communities where this power passes, so make sure all communities you pass to get a chance to benefit from this project,” said Capt Tumusiime. Mr Aloysius Mutungi, a resident of Ruhumba, also noted that it’s wrong to use government resources and facilities to connect individuals and leave the rest of the communities. But Mr Muhumuza noted under this project, all homes and institutions that have the capacity to use electricity will be connected.